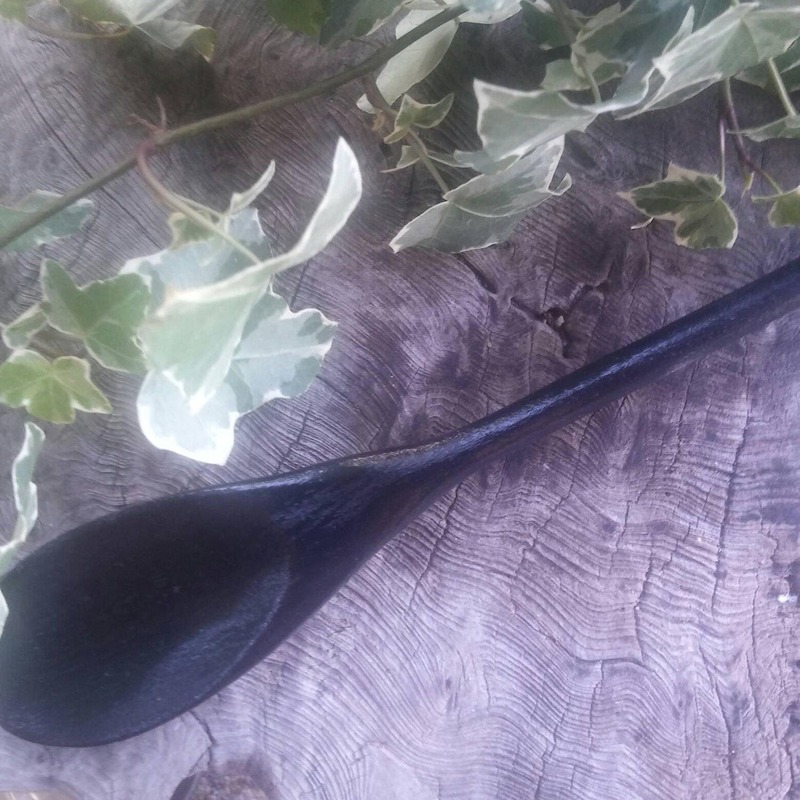 A gorgeous black wooden ceremonial or ritual spoon for stirring the cauldron during spell casting or coven rituals. 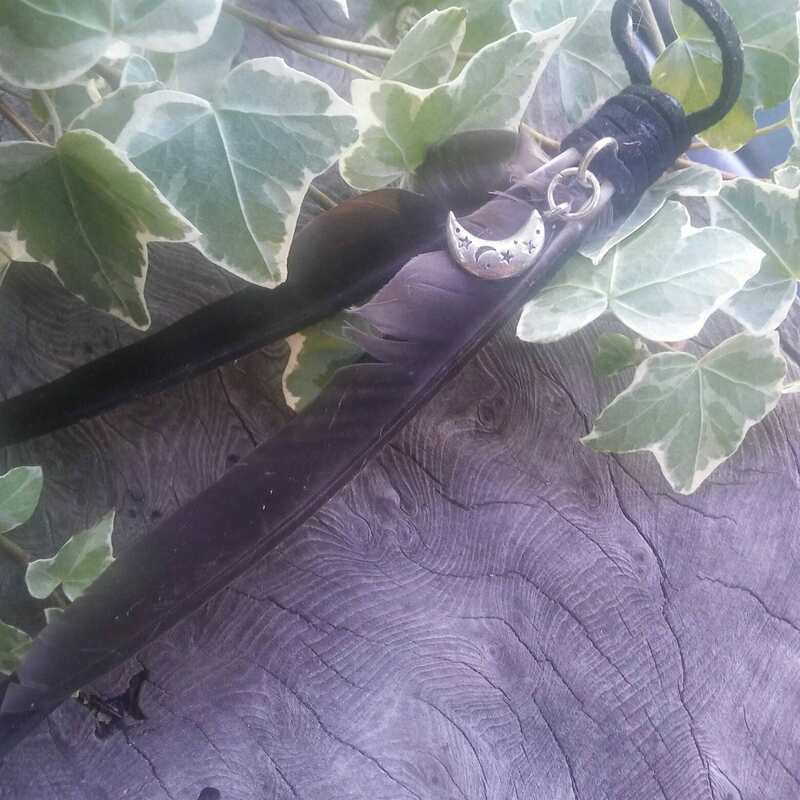 Two English crow feathers and a leather strip wrapped around to form a hanger and attached to this is a lovely crescent moon charm. 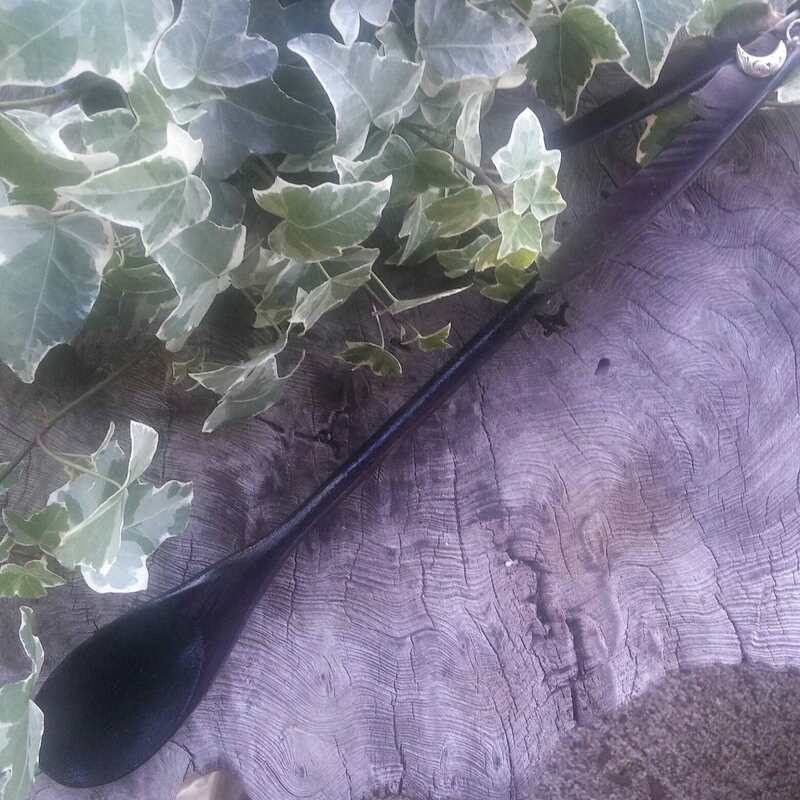 It is a wonderful spoon to work with when invoking The Morrigan and in any work requiring crow energy/spirit. Even if you don't wish to use it for ritual, it would look fabulous in any wiccan/pagan kitchen. 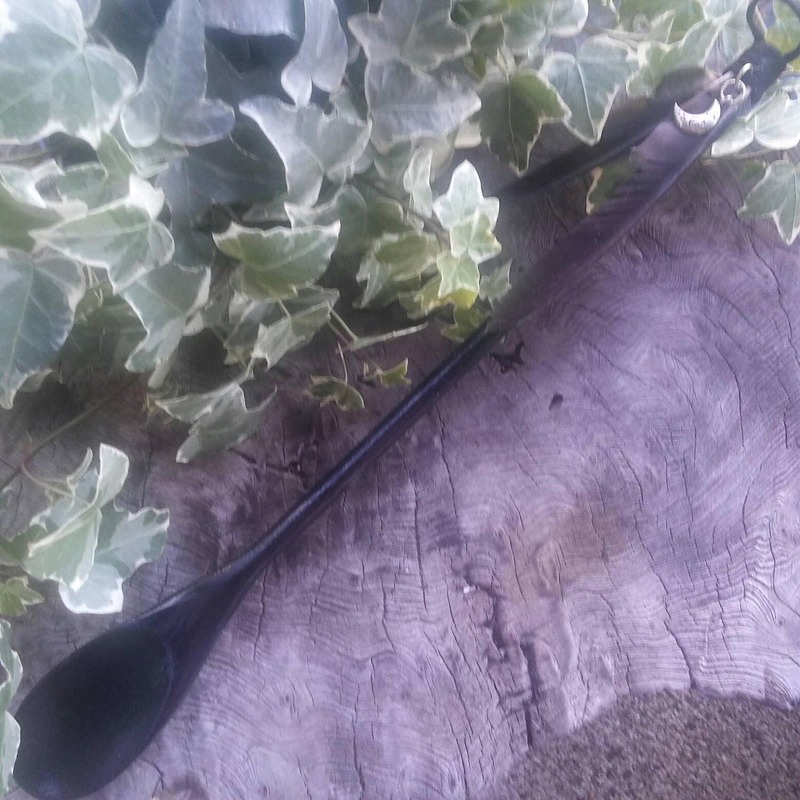 The spoon is 35.5cm (14 in) long. It has been painted black and given a coat of lacquer to seal it against liquids. Just wipe clean with damp cloth. It is NOT recommended for cooking with. The lacquer used is water-based so it could come off in cooking situations. **Our feathers are sourced in accordance with the Wildlife and Countryside Act, 1981 and in compliance with all natural England general licence requirements.